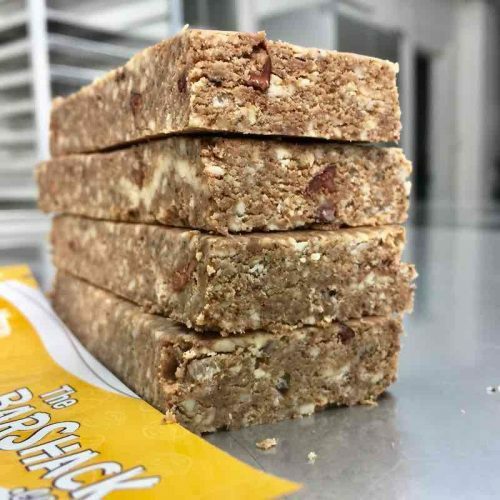 Today we made Kosta’s Bar, a simple ‘soft & nutty’ recipe that used peanut butter, clover honey, and whey isolate as the base ingredients. 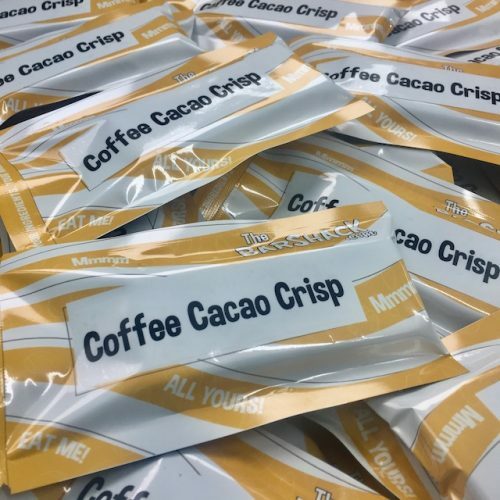 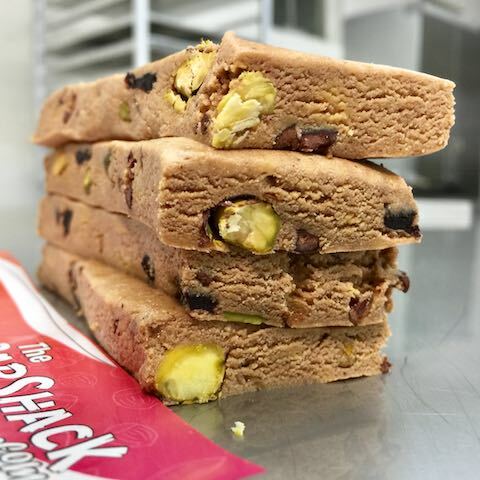 The customer only chose a few additional ingredients including pistachios, sour cherries, cacao nibs, and cacao powder. 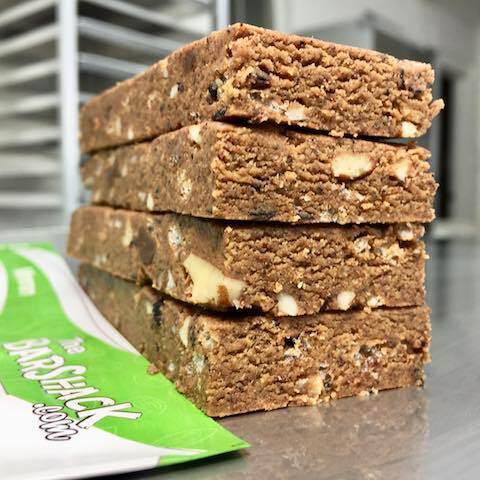 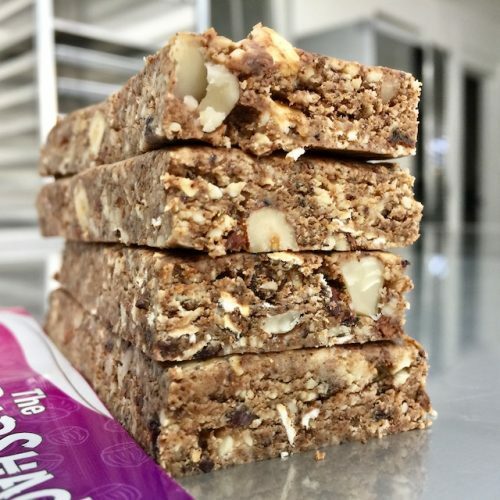 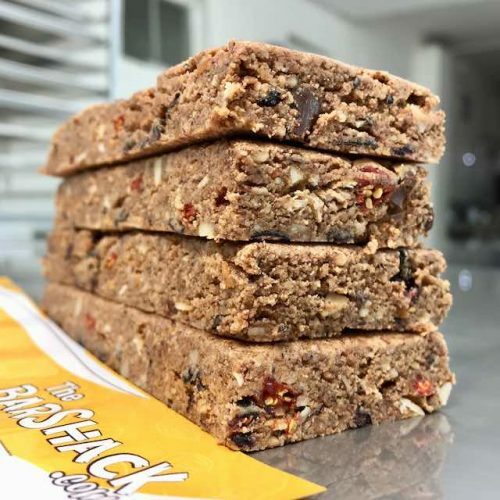 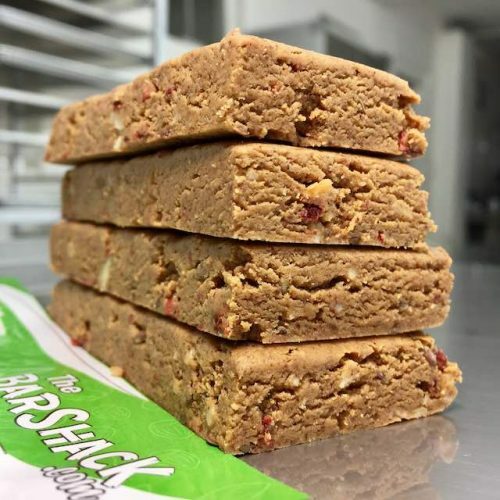 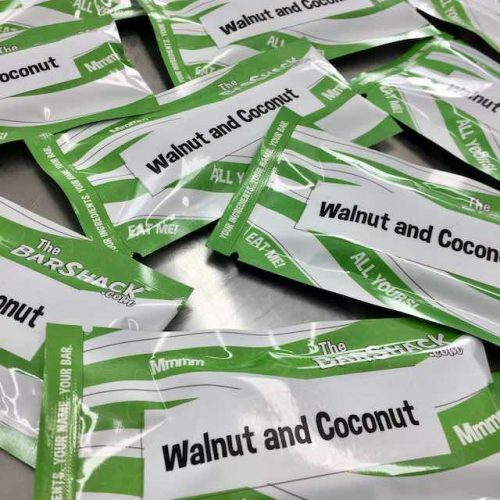 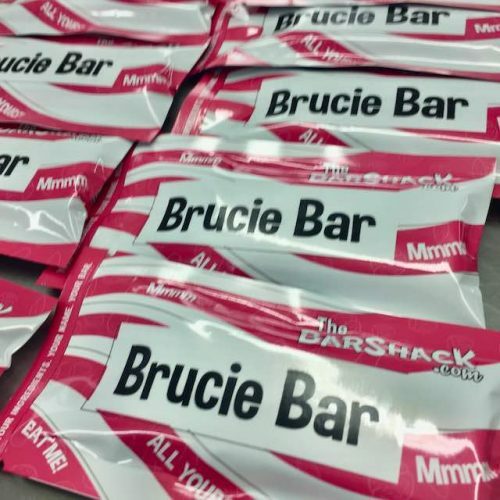 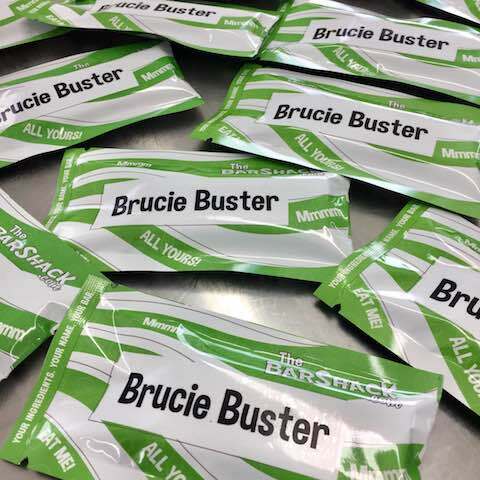 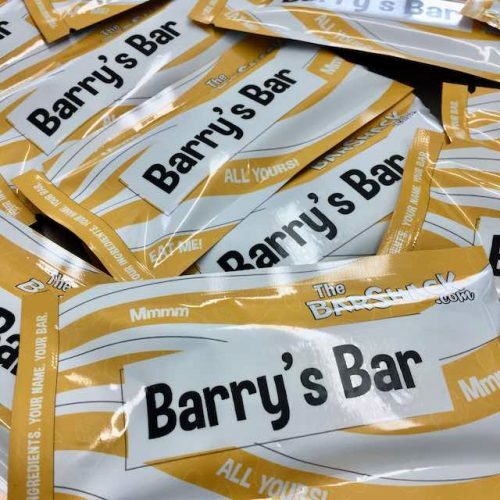 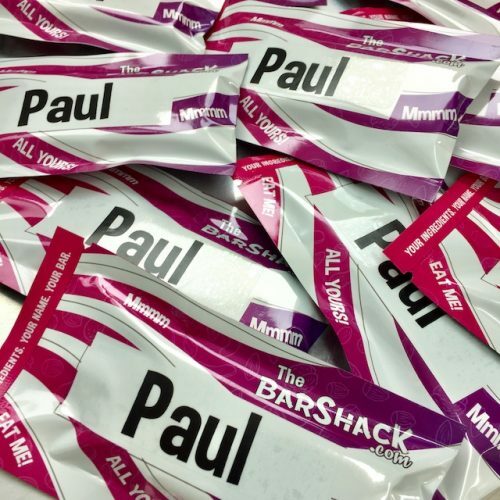 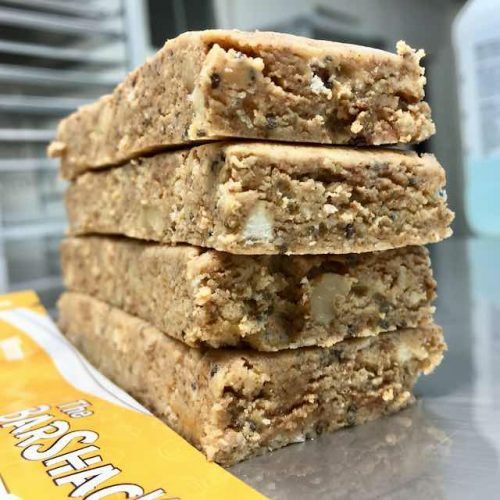 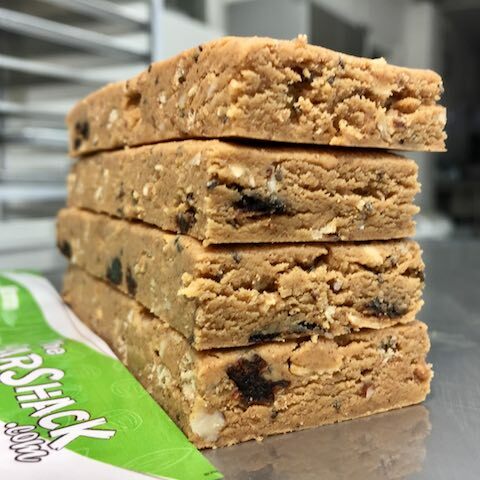 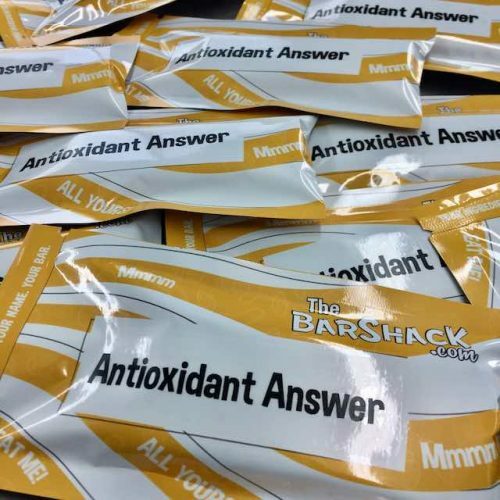 Since the ‘soft & nutty’ base consists of a high percentage of nut butter and protein powder (peanut butter and whey isolate in this case), these types of bars typically have a higher percentage of fat and protein that our other options. 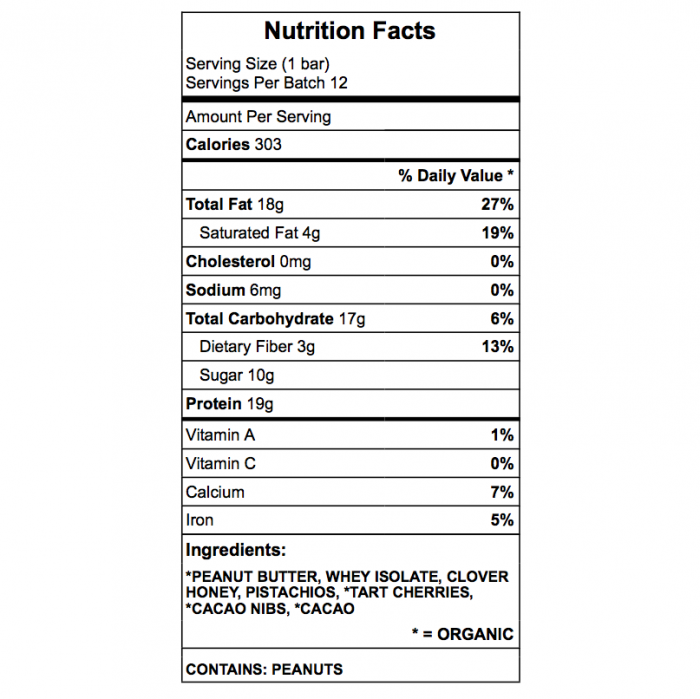 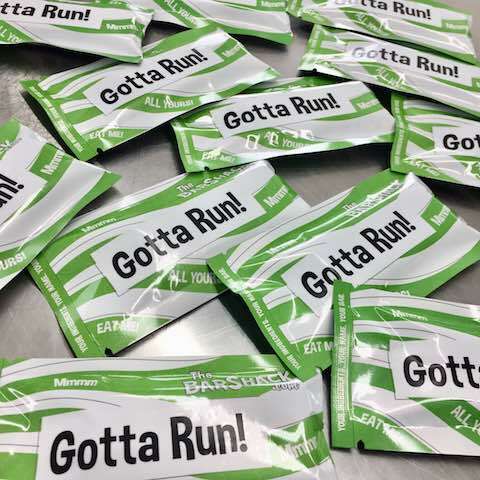 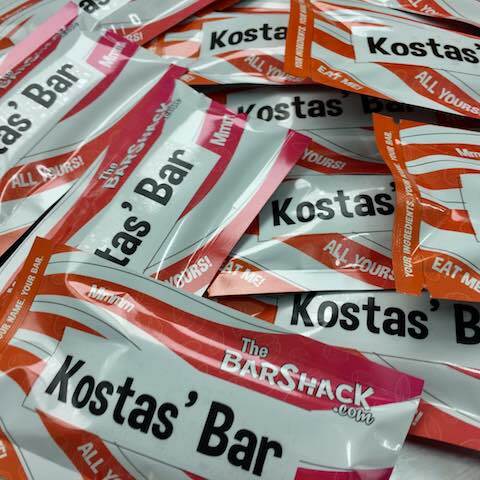 Kosta’s Bar was 303 calories with 18g fat, 17g carbohydrates (10g sugar/3g fiber), and 19g protein. 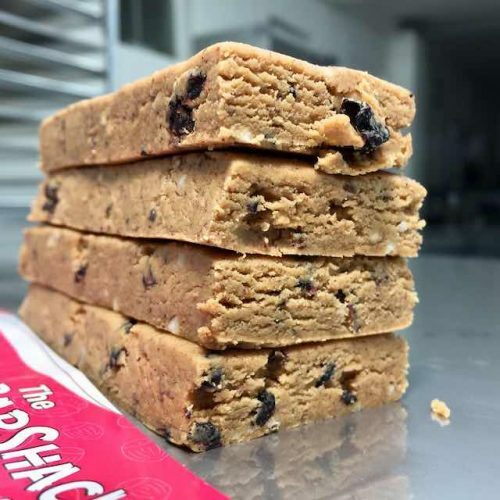 Only 8 ingredients is awesome. 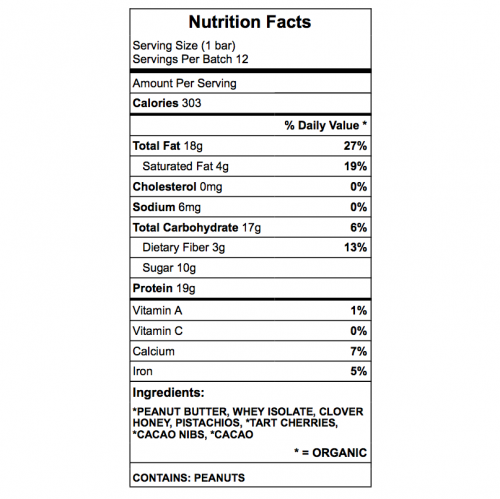 Using fiber syrup instead of honey would be a nice option to lower sugar.